A very competitive race right from the beginning. Once again as so often Herbert Körting with number 100 faced his competitor and friend Zoche with number 85. 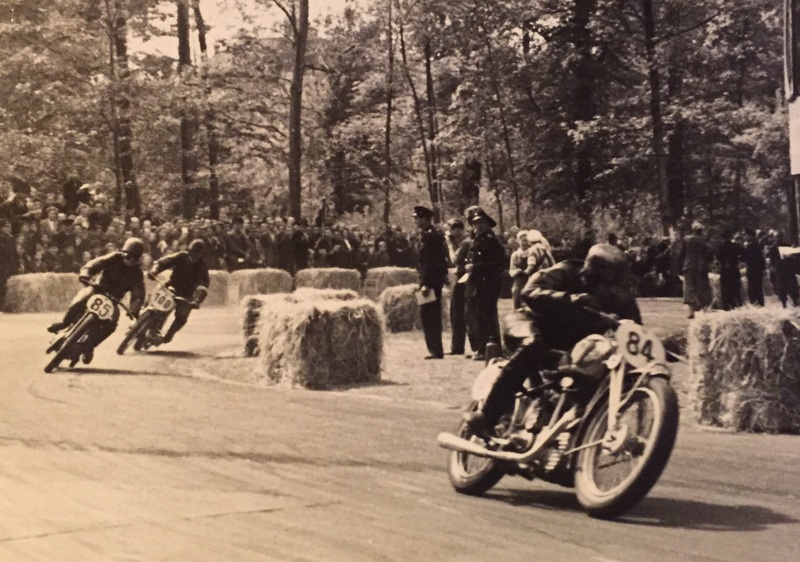 Both drove a DKW 250 ccm and after many changes, Zoche won again while Herbert Körting came in second. “Stadtpark-Rennen Leipzig” was a famous race in on of the most vibrant cities of Germany. 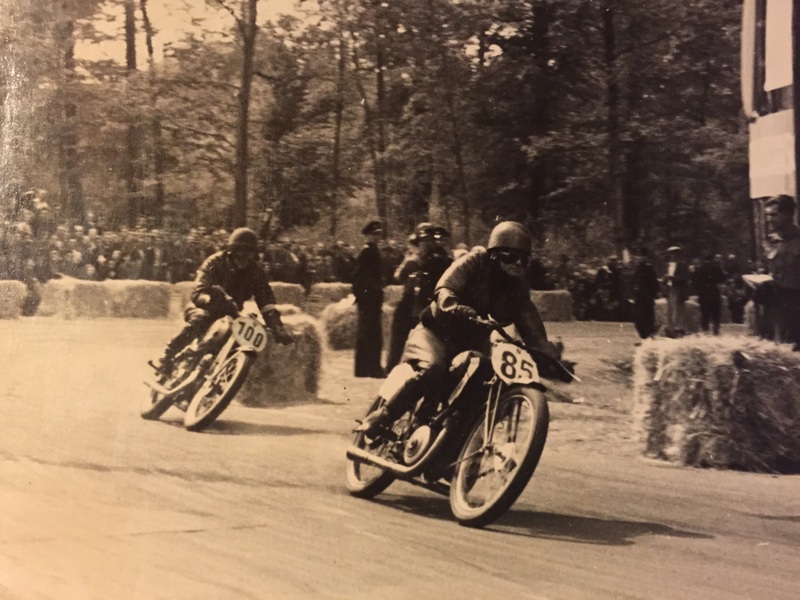 The race track shown here was used from 1951 and 1958 where many car and motorcycle races took place during this time. Herbert Körting joined various of them. 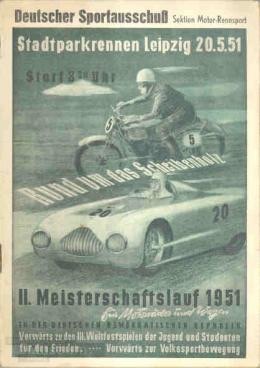 The winner of the race in 1950 Hoyer from Leipzig started the race as a leader but had to leave the race with an engine failure. The picture shows Stunze with the race number 84 followed by Zoche (85) and Körting (100). After Zoche passed Stunz, Körting quickly followed and took over the second place in the race which he kept until the end of the race. 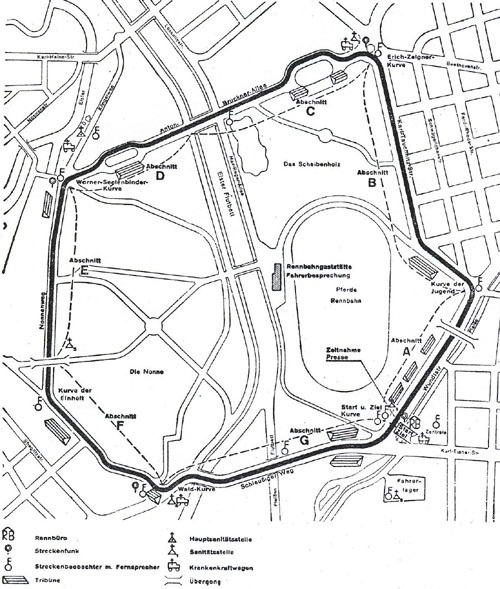 Racing in Leipzig was a huge event at this time and several ten thousand spectator enjoyed the competitive races. The racing association advertised the raced in advance as shown in this picture.